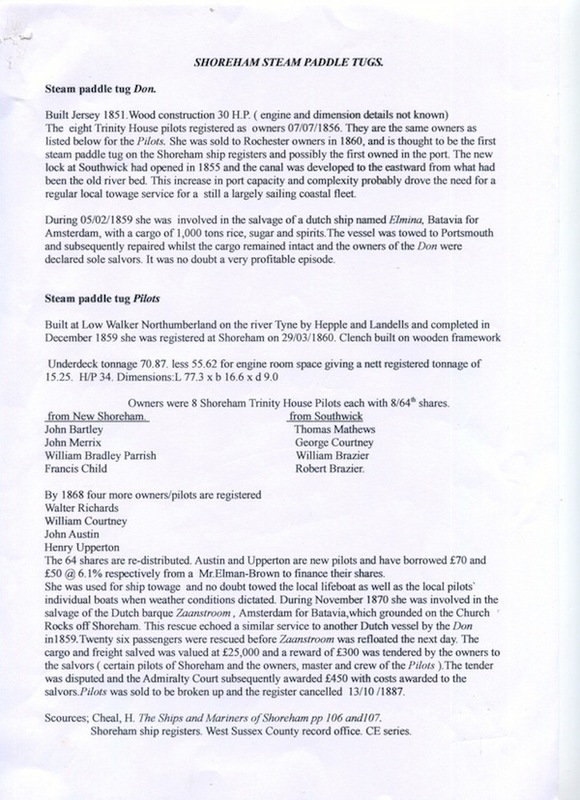 Researcher Ken Wilcox’s brief but important notes on Shoreham’s paddle tugs are a relevant addition to the town’s history records that may otherwise have been completely overlooked. 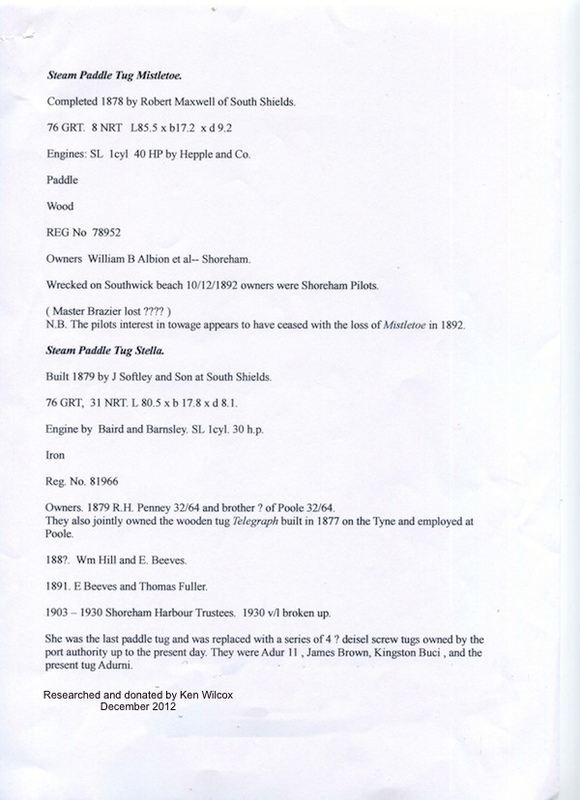 This website documents many of the ships built and used in Shoreham but very little on the paddle tug workhorses that during the nineteenth and early twentieth centuries busily assisted those sailing ships in and out of the harbour and even, on occasions, towing our oar-propelled lifeboats to the aid of ships in distress. 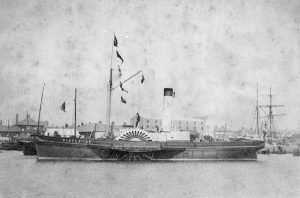 A new steamer of 110 tons and engines of 45 horse power built at North Shields for a Brighton company fitted with Mr. Smith’s patent Archimedes screw propeller arrived at the chain pier from the River Tyne in 48 hours and a half. 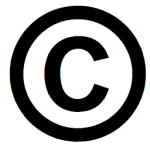 Intended for plying to adjacent ports and occasional use in towing vessels in and out of Shoreham harbour. Stamford Mercury 4th June 1841. The above is thought to have been the Princess Royal belonging to the Brighton & Shoreham Company that was used as a pleasure yacht, the cross-channel trade during the summer months and in winter towing ships in and out of the harbour – work for which she had been especially built. In 1842 she is described as being of clinker construction, copper fastened, 39 tons register but capable 120 tons burthen and propelled by two 46 horsepower engines using an Archimedean screw. Sheffield Independent 27th November 1841 and Newcastle Journal 30th July 1842. Ken Wilcox’s ‘Quaker Shipowning in the Port of Shoreham c.1824 – 1880’ http://www.shorehambysea.com/quaker-shipowning-in-the-port-of-shoreham-c1824-1880.html shows the Princess Royal as 86 feet in length and beam of 16 feet having been built by ‘Dowey’ in early 1841 and registered in Shoreham on 20th August 1842. The Shoreham harbour steam-tug (possibly the Don) was called out to assist in the retrieval of a deserted ship, the Adela, 15 miles off Brighton. Hampshire Advertiser 28th February 1852. An overturned vessel was towed into Littlehampton harbour ‘by the steam tug Alice of Shoreham…’ Hull Packet 20th August 1852. 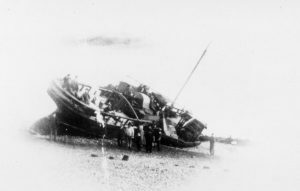 The Odin steam tug belonging to the port of Shoreham retrieved another deserted ship the La Joyeuse and brought her to the harbour. Sussex Advertiser 5th February 1856. 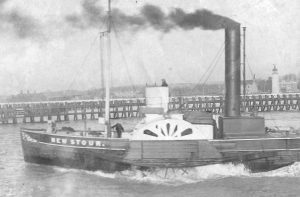 The Adur steam tug of Shoreham owned or captained by Mitchell recorded as arriving at the port. Sussex Advertiser 3rd June 1856. 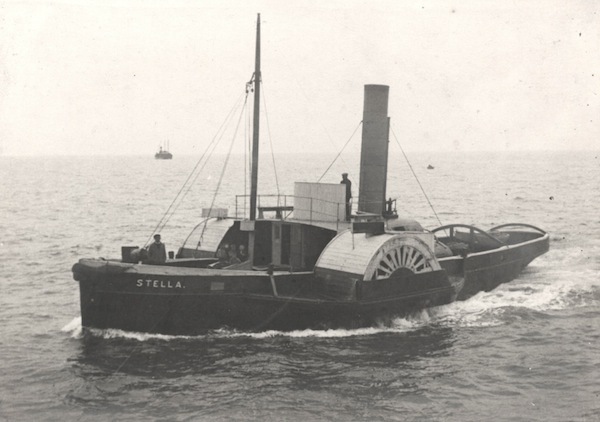 The Don steam tug of Shoreham harbour went to the assistance of a large Dutch ship in distress off Shoreham. Hampshire Advertiser 12th February 1859. Finally the tug NEW STOUR makes a brief entry into the records with this recent discovery as well as a rare image of it.